Mormon Archaeology – good luck with that! 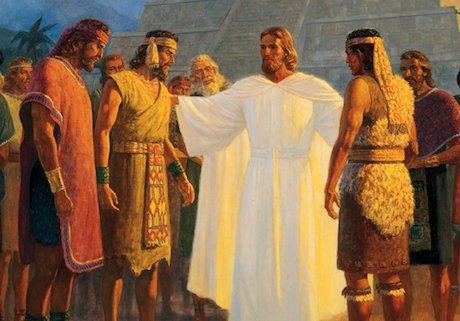 The Mormon story is that the Ten Lost Tribes of Israel didn’t simply assimilate into other populations under the enslavements and dispersals of the great empires of ancient times (which is what most historians, Jewish and non-Jewish, believe). Instead, they made their way east to the Americas and created a civilization that Jesus teleported to after he had come back from the dead, before he rose up into the sky. This had the advantage of prepping North America to house the United States as God’s Chosen Country, personally blessed by Jesus. But there is a problem: no archaeological remains from the civilization detailed in the Book of Mormon. There is a discrepancy between Scientific timelines and Biblical timelines, regarding prehistorical events. The Bible is correct, of course. The Scientific sequence is correct, but the timelines have to be adjusted to fit within the Biblical 7,000 years. We have virtually no archaeological evidence from 100,000 to 40,000 years ago, and none from the Americas. 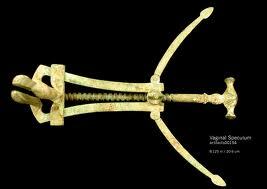 That equates to the Biblical period of 2400 BC to 2200 BC. Therefore we should not be surprised that we can find no evidence of the Ten Lost Tribes’ activities in the Americas from the Biblical period of 2400 to 2200 BC. Do I understand this correctly? I am open to correction. I may not have grasped all the intricacies, but this looks clear enough: Mormon archaeology is pure fantasy. And that’s logical, as it’s based on a book which is pure fantasy. Unasked questions: What happened to Joseph? One of the signs of a great story is the listener’s question, “What happened next?” In the National Geographic for March 2012 the cover article is “The Journey of the Apostles”, detailing the lives and teachings of not just the original Twelve, but also others such as Mary Magdalene, after Jesus’ crucifixion. We have stories about what happened to all of them, and to many others associated with Jesus. Not all the stories are believable, but where there is no fact there is plenty of speculation and legend. Except in the case of Joseph, the (step)father of Jesus. This is strange. If his fate was unknown, we would have legends and rumors. Search for “What happened to Joseph of Arimathea?”, for example, and you find him traveling all over the place, carrying the Holy Grail, settling in Britain, you name it. But search for “What happened to Joseph the father of Jesus?”, and you find nothing about him after his last mention in the Gospels, going up to the Temple in Jerusalem with Mary and Jesus when Jesus was 11 or 12. But suppose his fate was a) not something that the early Church wanted to talk about, and b) so well-known that no one could make up an alternative narrative without having the whole thing dragged out into public discussion again. Therefore silence. No narrative, no legends, nothing. The interesting event that happened around that time (probably later in the same year that Joseph took Jesus to Jerusalem, but the timing is uncertain) was an uprising led by Judas of Galilee with an attack on Sepphoris. (Sepphoris is the Roman name; the Hebrew name is Zippori.) This was Herod Antipas’ capital city in Galilee, 4 miles north of Nazareth. Probably a lot of men from Nazareth were in the uprising. 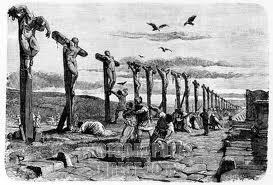 The uprising was crushed by the Romans, and the Romans crucified 2,000 Jews outside Sepphoris. And after that, we don’t hear anything about Joseph in the Bible, or in legends or stories. 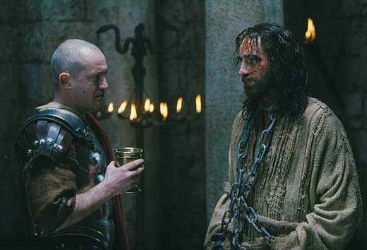 Jesus, however, retains a remarkable father-fixation all his life, and is himself crucified after leading an attack on the Temple in Jerusalem, having tried to claim the messianic kingship of Israel. So… what happened to Joseph? And why didn’t anyone want to talk about it in the early Church, as they tried to make Christianity acceptable throughout the Roman Empire? To Jesus, the Romans were pig-eating, uncircumcised, beard-shaving idolators who needed to be expelled from Israel. Paul’s Christianity is hostile to the beliefs of Jesus. The hair says it all. It’s normal for the founder of a new religion to produce a new code of laws. After all, the founder isn’t content with the existing social situation, or he (and it’s usually a he) wouldn’t feel the urge to create something different. The new religion will require a new definition of god/ess/es and a new definition of the appropriate and/or mandatory ways to worship them and beg things from them. New god(s), therefore new liturgy, new rules regarding purity… cleanliness… then food… food preparation… and of course clothing… and now we’re into the regulation of sexual relations… marriage… penalties for disobedience… Pretty soon you’re instituting the death penalty for adultery, then regulating marketplace weights and measures, and standardizing the length of cart axles so that the wheels always fit the ruts in the road. It may not be necessary to create a whole new religion if your interest is just the laws. Especially if you have a pantheon of gods to choose between, you can simply shift the emphasis from one to the other, as Moses did in suppressing the worship of Ba’al and other gods in favor of Yahweh. But then, Moses may not have written all of those laws – it appears they kept getting added to for hundreds of years, the authors always attributing the additions to Moses attributing them to Yahweh. 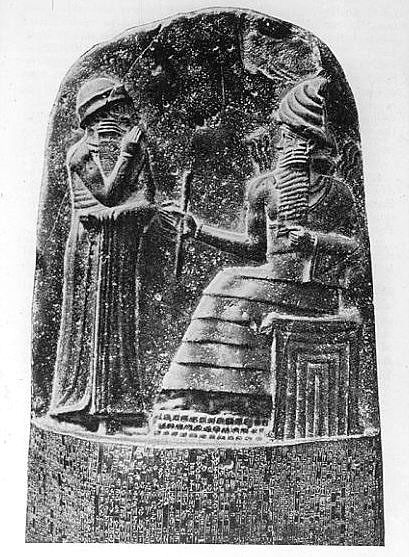 Several centuries before Moses, various rulers in the area of modern Iraq such as Ur-Nammu and Hammurabi provided extensive written laws. They too invoked the gods as the true creators of the laws, increasing the authority of the laws and enhancing the status of the ruler. So it’s an apparent anomaly that there was no new and extensive written code of laws with the birth of Christianity – neither from Jesus nor from Paul. But Jesus had no interest in starting a new religion – he was a Jew who was trying to get all other Jews to turn back to the old ways, back to the Shema (“Hear, O Israel…”), and away from the polluting Romans. And Paul, though he wanted to start a new religion, had no interest in new laws because he was intent on starting this new religion within the existing framework of the Roman Empire. The Romans didn’t look favorably on people who tried to override their laws. And then a few hundred years later we get Muhammad, and we’re back to divinely inspired legislation. What ELSE was the big story in 1492? From Europe to India, a major geopolitical event in 1492 had everyone talking – and it had nothing to do with Columbus. Columbus was just some explorer who had discovered some islands somewhere. But the really big news was that, after nearly 800 years, the aggressive Christians had finally kicked the more cultured Muslims out of Spain. Granada was conquered. 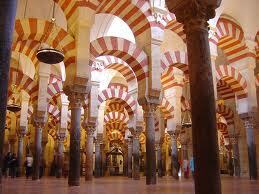 Cordoba and Seville, the greatest centers of learning in Europe, where thousands of Christian scholars had traveled surreptitiously, and from which the European Renaissance had been born, were now turned into fresh hunting grounds for the Spanish Inquisition. Decrees ordered Muslims and Jews to convert or leave. Tens of thousands chose the former, hundreds of thousands the latter. Of those who converted and stayed, thousands were subsequently executed by the Inquisition under suspicion of insincerity; initially over 90% of the executions were of Jews, because the moriscos were too well-connected and too important to the government and economy to be maltreated. But after some decades the focus turned to moriscos (and Protestants), and finally all the moriscos were expelled without being allowed to take money or jewelry or anything more than they could carry. The most advanced state in Europe was destroyed, and neither it nor the rest of Spain has ever fully recovered. An ironic element is that, after 800 years of Islam in Spain, the Christians “were not actually expelling Arabs nor were they expelling Berbers. The huge majority of the people that were being expelled, by blood, by DNA if you will, were as Iberian as their Christian cousins in the North who were kicking them out of Peninsula”. This from British historian Professor Dwight Reynolds in a 2005 documentary. The Muslims and Jews who were expelled took the keys to their front doors with them. Fifteen generations later, around the Mediterranean, many of those keys are still in the possession of the original families. It’s certainly not the image presented to children. Our foundational understanding of Jesus is “Gentle Jesus, meek and mild”, mixed in with Baby Jesus, Jesus healing people, Jesus feeding people, and all sorts of “God is love” stuff. Gentle Jesus, or man of violence? 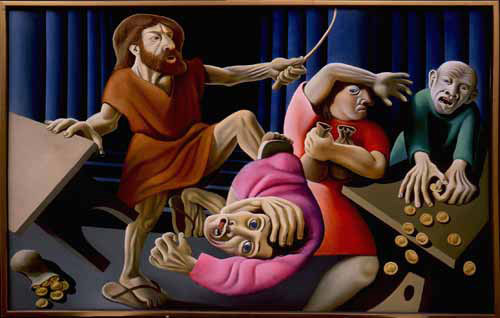 Well, but he whipped the money-changers out of the Temple. And when he was in a synagogue on the Sabbath, he looked round at the congregation “in anger” (Mark 3:5) before healing someone. And there are other places that he gets angry, yells at his disciples, etc. So there is nothing unlikely about his being connected in with the Zealot insurrection, or in having a Sicariot and Simon Zealotes among his closest disciples. In other early writings, contemporary with the canonical Gospels, there are accounts of Jesus’ childhood in which (along with magical stories of his making lumber longer or shorter to help Joseph with the carpentry) there are disturbingly violent incidents. In one version he pushes a boy off a roof and kills him, but brings him back to life. In another he curses a boy who has either bumped into him or thrown a stone at him, and the boy falls dead. In yet another he kills a teacher who has reprimanded him. And we have the makings of an angry, conflicted, anti-Roman young man. Forget the “meek and mild” – it’s nowhere in the Gospels.